Today is the day I help you delve into the minds of burglars so that you are better equipped to combat them and the tricks that they throw at you. There are some things about burglaries that all property owners should know and we will look at most of them. 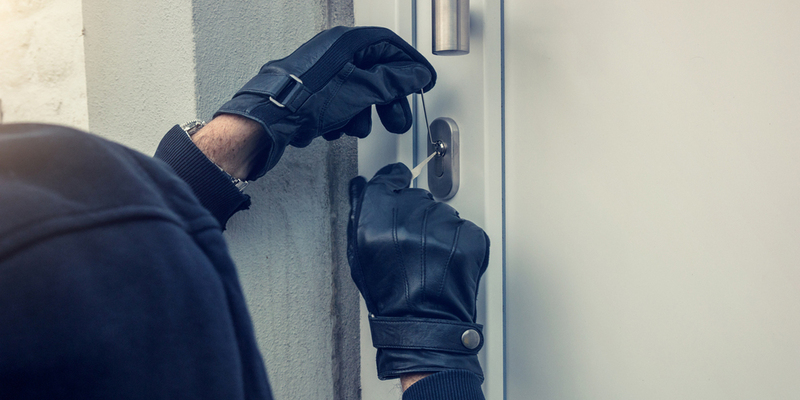 Now, these points that we discuss will look at some of the tricks that burglars use to break into your home, as well as some of the tricks that they use to find your belongings and steal your property. It is important that you keep in mind that this list will not be a list of all the tricks that burglars use because I am sure there are some that I do not even know about. However, I will take the time to dissect the ones that I am knowledgeable on, and provide you with some security measures that will help you combat these criminals. The first trick that burglars use to compromise your home, office, or even your vehicle, is to focus on bypassing the door locks. Regardless of the object that they might be targeting, a majority of burglars will begin by assessing door locks and their accompanying doors. The logic behind this is that these mechanisms give them direct access to someone’s property, so if they can easily bypass these door locks then the job becomes much easier to complete without the risk of being caught. Many of the techniques that are used by burglars are actual methods that many lock experts employ in their line of work on a daily basis. Burglars spend a good deal of their already limited time bypassing locks, but they only commit to attempting this if it looks feasible. I say limited because burglars do not want to waste time. This is because of the fact that the more time spent in a particular location, the higher the probability that a burglar will be caught. Most burglars focus on either surreptitiously bypassing a lock or breaking the lock completely. It seems that a majority of burglars prefer to bypass these locks rather than damaging them, seemingly because it draws less attention. In order to bypass these locks, burglars attempt to pick the locks, bump the locks or snap the locks, among other things. In extreme cases where the burglar has no qualms about damaging the lock or making a racket, they will drill the lock or simply kick in the door to gain entry. Windows tend to get the same treatment from burglars that door locks do. This is because they are also deemed as primary entry points that require very little manpower to compromise. In many cases, burglars are let into homes by unwitting homeowners that leave their windows half opened or unlocked. The ability to spot open windows and unlocked windows are a part of a burglars craft, and something that they take very seriously. A good number of property owners forget that their windows need adequate security. This is one of the reasons why it is often recommended that you conduct a home security assessment or commercial property assessment. Most burglars target windows that have some form of shrubbery in front of them because it keeps them obscured from the homeowners view while they are breaking in. Another common trick that burglars use is to target second-floor windows instead of first-floor windows. One of the main reasons behind this is because most homeowners make the mistake of only safeguarding the windows on the first floor. It is crucial that you understand that burglars are crafty, and many of them have no problem climbing up to a second story window if it means that they will be able to make off with some of your treasured property. Stakeouts are another trick that burglars keep on deck and use to exploit homeowners, commercial businesses and automobiles as well. 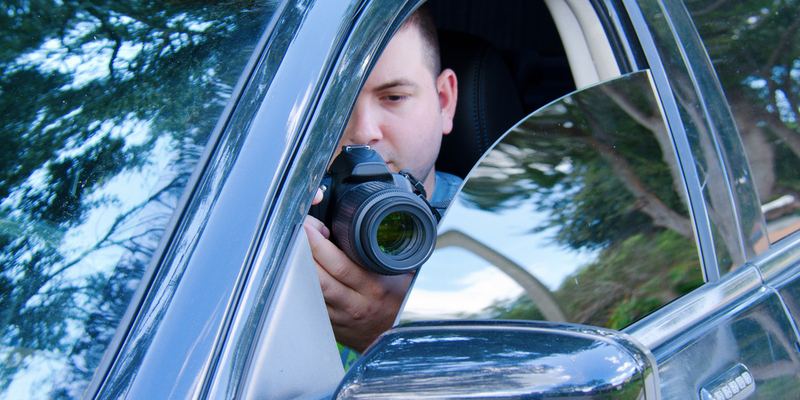 Stakeouts are a very scary trick when you take the time to think about all that it entails and how it is carried out. Stakeouts might sound like fun if you are watching a crime thriller or a spy movie and you are not the one being watched. I guess that says something about the voyeuristic tendencies of us humans. A stakeout occurs when a burglar specifically targets your property and takes the time to study and assess the way you interact with it. This process helps them to plan the ways in which they will approach and attack your property. In a nutshell, burglars take the time to study your habits, your home, your office, and even the way in which you commute in a given day. This process makes it much easier for a burglar to plan around your life and choose the opportune time with which to strike. A stakeout helps gives burglars peace of mind while they are carrying out their crimes, but it leaves their victims wide open and vulnerable. It seems as if every good burglar takes the time to stake out their targets, and this helps them overcome some of the most robust security measures that homeowners might have put in place. I assure you that prank calls are not a party trick or a laughing matter when it comes to issues of burglary. Many people view prank calls as an inherently harmless annoyance. Aside from that, they do not put much thought into it, and why should they? The truth is that you should put some stock into it simply because burglars put stock into it as well. Many burglars use prank calls to assess some of the homes they choose to rob. For instance, a burglar might call up a home and then pose as a sales agent simply to get some information on who is currently at home. In these instances, even the smallest amount of information can go a long way to influence the type of action that a burglar might take. It might sound like a harmless phone call at first, but if you cannot verify who is on the other end of the line, you should be wary about sharing too much information. Similar to staking out a target, prank phone calls can be used on multiple occasions to establish a pattern that will be used to determine the way a burglar attacks your home or office and compromises your property. This is often an issue that many tourists have to contend with when they are dealing with security in foreign countries. They are often placed at a disadvantage by the language barrier and many burglars use this to their advantage to extract useful information that helps them carry out a crime later. Door-to-door solicitation is akin to the physical version of prank phone calls and it is often used in conjunction with stakeouts to achieve the best results for burglars. What you need to be aware of is the fact that burglars deal in time and information as the tools of their trade and that they hold these elements in high regard. Essentially if there is any way for them to save time on the job due to information that they are able to gather beforehand, they will pursue it. Have you ever seen the movie Home Alone? The original? Well if you have, then you will probably remember the scene in which something similar occurred at the McCallister residence. One of the burglars that would attempt to rob their residence came up to their front door posed as a police officer, and Kevin’s dad told them when they would be leaving on their trip and for how long they would be gone. Now, if I was presented with the same situation I would probably tell the officer whatever they asked, but I would have to do so after asking for some form of verification. Most burglars will not be brazen enough to try and pose as police officers, but they just might take the time to act like they are insurance agents or salesmen pushing ADT home alarm systems. Metal detectors double as both a tool and a trick and they help burglars out a great deal, especially once they make their way into your home or office. For some burglars, using a metal detector outside helps them find even the most well hidden spare keys, as well as any other valuables that might have been stashed outside. This is not a common occurrence because there is a time commitment that is required to accomplish this, but it all depends on the nature of the job that the burglar is trying to pull off. As I have pointed out several times, time is an important factor to burglars and each burglar is presented with different time constraints. Once inside a home, metal detectors can be used to quickly find jewelry and other valuables that might have been hidden away by homeowners or property managers in safes and lockboxes. Burglars have a keen sense of finding hiding spots regardless of whether they have any tools at their disposal or not, it seems to be a skill that the job requires. The use of metal detectors elevates this skill and makes it much harder for people to keep things hidden. Luckily enough for most homeowners and property managers, a metal detector is not something that all burglars take advantage of. Although front doors and windows are a go-to entry point for most burglars, many of them employ the nifty little trick of bypassing them altogether and focusing on other entry points that they can exploit. This is where the garage comes into play. If I have not said so already, burglars tend to be much more observant than the average homeowner or business owner, and that is because the latter can be very complacent when it comes to security. This complacency generally leads to two things. The first is the fact that homeowners do not adequately secure all the possible points of egress within their homes. One of the ways in which they do this is by installing the wrong locks in the wrong place. The second is that burglars pick up on this and thus plan around it. This might not be a trick in the strictest sense, but it is still a commonly used method by many burglars. By ignoring the door and the primary entry points, burglars are bypassing the most guarded locations and spending their time focusing on the locations that are likely to have minimal security. One of these locations is the garage. 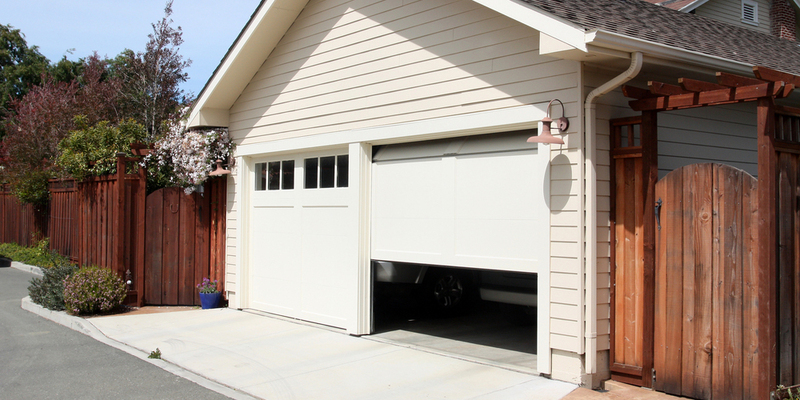 In some homes, the garage grants direct access to the home, and burglars always try and use this to their advantage. The simple trick of attacking the garage to gain entrance to the home is one that many burglars have successfully tried. There are multiple reasons why this method might be successful in a sense. One of these reasons is one that I already alluded to, and that is the fact that most people provide minimal security to this location. Another reason is that some people choose to use their garages as the perfect hiding spot, which means that burglars will not have to search for long or search far in order to find something of value. It still surprises me that in this day and age people still disregard social media as a means for leaving yourself vulnerable in different settings. There are people who still insist on sharing every single aspect of their lives on social media, but these same people forget the type of reach that many of these social media applications have. It is very likely that anyone can find the information that you share on social media if they know what they are looking for and if you do not have the right privacy settings engaged. Tracking victims on social media is a very similar thing to staking out a victim’s house, and it is also used to gather a plethora of information that comes in handy for burglars. This information ranges from the times a home might be left vacant, to the new items that you got for Christmas or a birthday. It is ignorant to think that any of the information you share on social media might be considered useless by a burglar. In order to execute their jobs in an effective manner, you can bet that they are studying different aspects of your life in order to learn about the best possible way to approach the burglary. In many cases, burglars are people that you already know or people that have some level of access to your home, office or car. It is often the case that burglars use the ease of access that they have to steal some of your property or compromise your security measures so that it is easier for them to gain access later on. This trick is one that many people do not take into account because the burglars that normally carry out this task are people that we have grown to trust, and as such people always lower their guard. This could very easily be a family member or an employee. Due to the fact that these people have close to unfettered access to your space and your belongings, it makes it easier for them to carry out crimes and theft without being regarded as suspicious. The final simple trick that burglars tend to take advantage of is the repeat visit. This simply means that a burglar might show up to your property multiple times before they actually attempt to steal anything. In most cases, the action of repeated visits helps burglars canvas a particular property. Essentially, it will make them all the more familiar with your security measures and other safeguards that you have in place. It is because of tricks like this that homeowners, property managers, and business owners are always cautioned to constantly be aware of their surroundings. Constant vigilance and awareness might sound like an old adage, but it is necessary for a reason. Practicing this will help people spot things that might be out of the ordinary. For instance, if a burglar makes a visit to your home and happens to leave some signs of their visit behind, you should be able to pick up on this. If you notice anything wrong with your door locks, window locks or any other basic security measures, you should work to repair or replace these so that the burglar is not able to capitalize on their repeat visit. Calling a locksmith to help you with a door lock repair job will help put your mind at ease and bolster your security. Taking the time to invest in secure high-security door locks and high-security padlocks is one of the best starting points. It will also give you the opportunity to build other security measures with your door locks as the focal point. Installing a lock as strong as the Mul-T-Lock MT5+ Hercular Double Cylinder deadbolt is a great starting point. Invest in locks that are able to withstand the measures discussed earlier on. These include lock picking, lock bumping, lock snapping, drilling, etc. If you do not want to invest in brand new locks, you can always retrofit your old locks with some features that will help boost your door lock security. Secure all the windows within your home and office, even the ones that you think might be unlikely points of egress. Make sure that you do not make any of these windows an emergency exit hazard. This is something that many people forget to take into account when they are setting up security measures to ward off the actions of burglars. It also helps to make use of security film that will make it much harder for burglars to shatter your windows. Homeowners can also use thorny plants to their advantage by planting these underneath vulnerable windows to deter burglars using these as entrances. Investing in surveillance cameras will help commercial properties, as well as residential properties, reduce the likelihood of a burglar staking out their properties. The keys to a successful stakeout involve having space and the time to observe the way in which someone carries out their daily activities. Having surveillance cameras installed in the appropriate locations will help business owners, and homeowners take notice of any behavior that is out of the ordinary. Always be wary of the amount of information and the type of information that you divulge to strangers. If you have kids at home or new employees in your office, make sure that they are aware of the policies concerning the sharing of information. If you are not able to appropriately verify the identity of anyone requesting information at the door or on the phone, make sure you politely tell them to return or call at a later time. Also, teach kids to never divulge that they are home alone. This is something that burglars capitalize on whenever they have the opportunity to. Try to avoid sharing too many details surrounding any aspect of your property on social media channels that could be mined for data. This might sound like overkill less tech-savvy individuals but in these modern times, burglars are using these avenues to learn more about their victims and plot out the burglaries that they carry out. One of the things I pointed out very early on was the fact that the tricks highlighted here are not all the tricks that a burglar might employ at any given time. However, they are a great starting point for any property owner who is concerned about burglary and wants to know what to expect so that they can implement some useful countermeasures. I hope that these tricks and the corresponding security solutions help you out a great deal. Please feel free to leave a comment below if you feel like there are some burglary tricks that I overlooked.